A wine cooler is actually a better name for a wine storage unit than a wine fridge. This is because wine really should not be kept in a fridge. A fringe is too cold for wine. A wine cooler does exactly what is says on the box. Keeps wine cool, not cold. 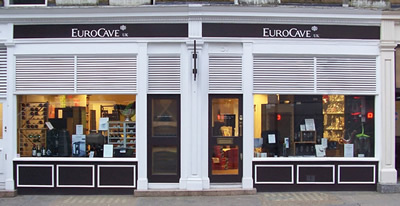 For further information about the unique EuroCave features or to learn the difference between a wine storage unit and a fridge, please click here. Your wine collection is drunk within a few months of purchase and you are constantly buying new wine to be drunk soon. You already have a cellar and it is inconvenient to access regularly. You do not have the opportunity to take wine from the cellar 30-40 minutes before you want to drink it. Drinking wine at the right temperature measurably improves the flavour. EuroCave manufacture storage for wine and you can call them anything you like. Wine cooler, wine fridge, wine cabinet, wine cellar. EuroCave offers single temperature wine cabinets for short or long term wine storage as well as multi-temperature wine service fridges.